You can redeem Korean Air SkyPass miles for long-haul premium flights and because the cabin is virtually unattainable with other currencies, you won’t be competing with Delta customers for free seats. Unfortunately, Korean Air’s redemption process is unnecessarily complex, and while you can make a booking with less than an hour of work, the steps involved are sure to serve as a deterrent to other would-be passengers. The easiest way to get Skypass miles is to transfer Chase Ultimate Rewards points into the program. You’ll exchange one point per mile, and since miles post instantly, you don’t have to make any moves until you’re ready to book. Korean Air also offers an incredibly generous hold policy, letting you reserve a seat without spending a dime. You need to complete the ticketing process two days before your flight, but your reservation will remain on hold until that point. You’ll have to pay taxes and a modest fuel surcharge, which shouldn’t be more than a couple of hundred dollars for most flights to Asia. Fares will differ depending on the dates of your flight, so take advantage of flexible schedules to get a cheaper rate. Note that you will spend more on flights to Southeast Asia. Once you have your dates and routing in mind, call SkyPass and provide the necessary information to the phone agent and ask that they place the itinerary on hold. Note that you can only book an award flight for yourself or an immediate family member. If you’re planning to travel with a friend, they’ll need to set up their own SkyPass account. You should still be able to transfer points from Chase Ultimate Rewards, but some will be going into your companion’s account instead. After the reservation is on hold, fill out a SkyPass Award Application, print it, scan it, and email it to SkyPass, along with a copy of your passport and the passports of relatives in your booking. If a friend is redeeming from their own account, they’ll need to complete their own form and send it in separately. Once that’s complete, you can call SkyPass once again and ask the agent to check the email box for your documentation. Once they find it, they’ll authorize your ticket, at which book you can use the record locator to make your purchase on Korean Air’s website. Also bizarre is the airline’s check-in policy. You’re required to present the credit card you used to pay for any taxes and surcharges before an agent will hand over your boarding pass. If you don’t have the card (perhaps you left it behind or it belongs to someone else), you won’t be able to fly, so it’s critical that you only use a credit card in your name and that you remember to bring it along. 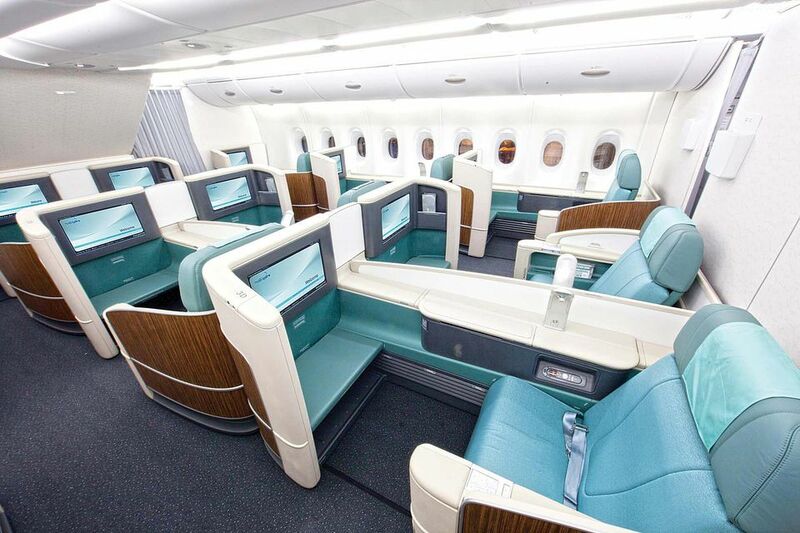 You can use Korean Air miles for flights on other SkyTeam airlines as well, such as Air France, China Southern, Delta, Garuda Indonesia and KLM, including First Class cabins when available. You can also redeem for partner flights on Alaska, Emirates, Etihad, Garuda Indonesia, and Hawaiian, though while you’re able to book one-way awards with SkyTeam airlines, you can only book roundtrip with the partners listed above.